I love farmer’s markets! One of the most delicious aspects of my new apartment is that it’s located only 1 block from a huge farmer’s market. Yep, 1 teensy little block. Every Sunday morning I grab my reusable grocery bags and head over to the 40 booths bustling with couples, babies, and puppies! Last week I had breakfast there, and ended up with a local, roasted mushroom taco and a buttery, flakey, almond croissant. It was a breakfast of farmer’s market shopping champions! My favorite part of any farmers market is always the samples. The peaches are so juicy, sweet, and delicious right now! Every farmer seems to be selling and sampling equally delicious peaches. One even had peaches without a pit! I’m not sure how I feel about stone-less stone fruit but it sure was tasty. I also found fantastic little cantaloupes at one of the booths too. They are about the size of a softball, and they taste exactly the way I imagine cantaloupe should taste…sweet, flavorful, and not the least bit hard or watery. 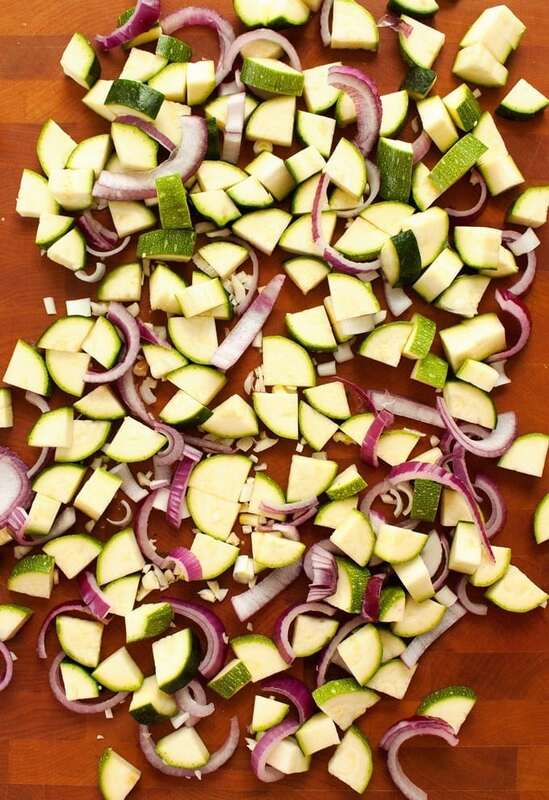 This week I picked up some beautiful zucchini to make one of my favorite veggie recipes…Sautéed Zucchini! This is such a simple dish to make. And it’s sooo good. 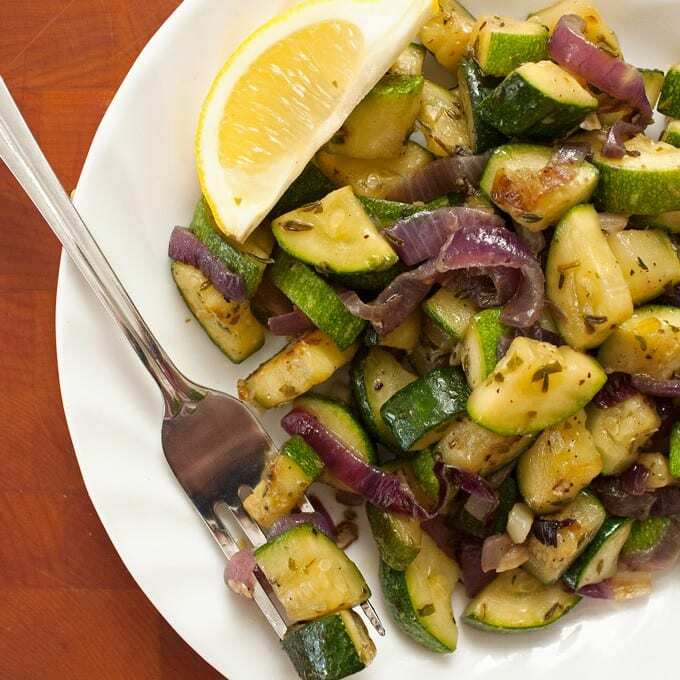 Farm fresh zucchini sautéed until golden with red onion, garlic, herbs, and olive oil. 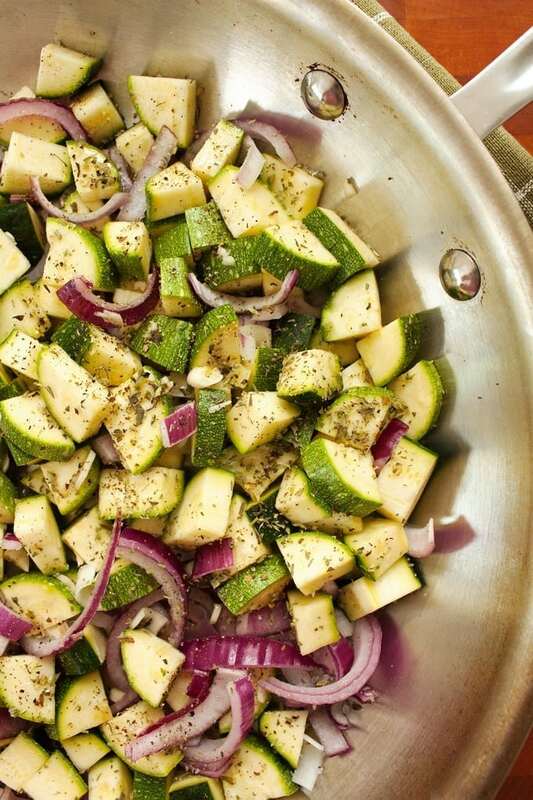 A quick, easy, and delicious veggie side dish! 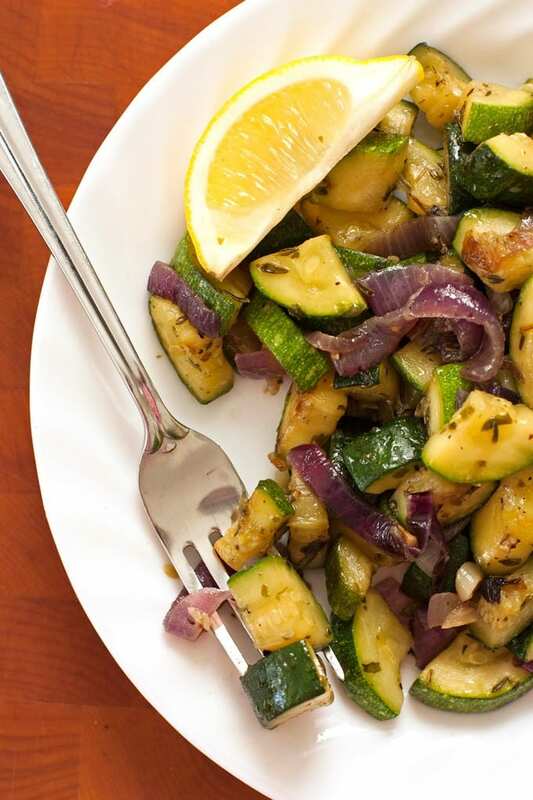 Toss zucchini, onions, and garlic in oil, herbs, salt, and pepper. 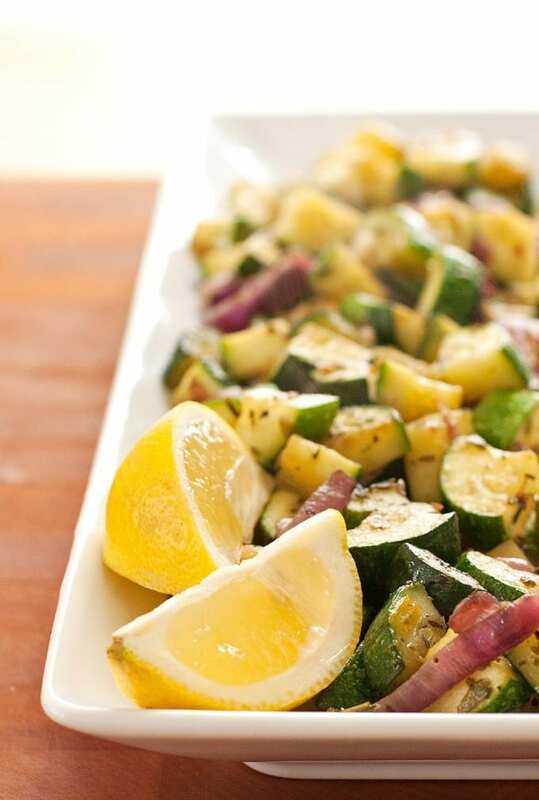 Sauté on medium-high heat stirring occasionally until zucchini is golden, about 10 minutes. 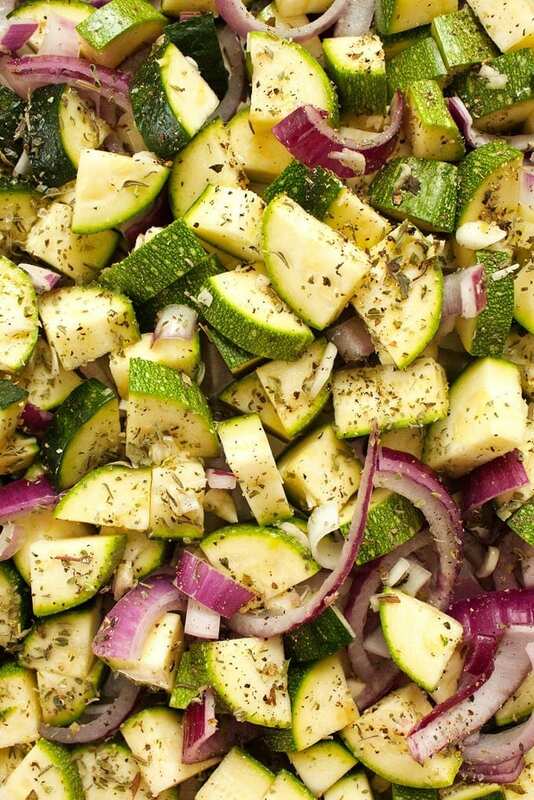 This looks so simple and delicious! Which Farmer’s Market do you go to? We’re probably neighbors…or close, maybe! I go to the Dupont Circle one as well! We live on Connecticut right next to the zoo! We’re totally neighbors! That’s so cool! Did you see this “hyper-local farmer’s market” on the 20th? http://neighborhoodfarminitiative.org/homegrown-dc/ I just heard about it today and have never been (I guess this is the second year), but I may check it out…It looks pretty interesting and it’s super close to DuPont too! Yum! What a good side for a fall meal! I’m totally jealous of how close the farmers market is to your apartment! That is a food bloggers dream!